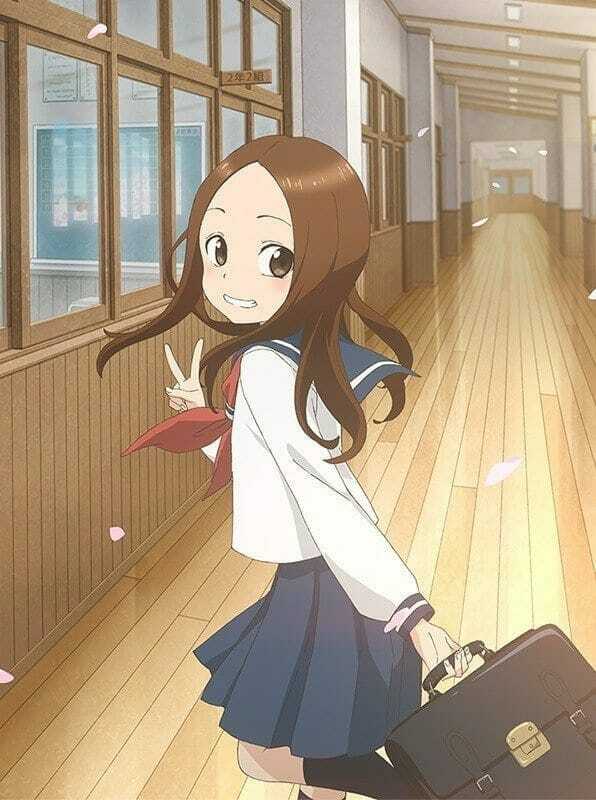 Karakai Jouzu no Takagi-san season 2 TV anime’s new key visual and screenshots revealed giving fans a sneak peek of the show art. At the start of January, we have made an article on Karakai Jouzu no Takagi-san season 2 which was announced in the February 2019 issue of Gessan magazine. The first season of the anime was aired in 2018 and was highly liked by the majority of fans in the anime community. Without wasting any time you can check out the new screenshots and key visual of the anime released by Shin-Ei Animation. “If you blush, you lose.” That has been the unwritten rule set between the two ever since they encountered one another in middle school. Day after day, loss after loss, Nishikata strives to see Takagi red with embarrassment, but his futile attempts are only met by further ridicule. Beyond this vicious cycle of trying to outwit one another, will their relationship ever evolve? If not the best but it is one of the most adorable shows I’ve ever seen I cannot wait for season two. As of yet, we do not have an exact air date for the second season but it’s safe to bet we might be able to watch the show in 2019. What do you think? While we are waiting, make sure to check out, The Promised Neverland season 2 announced, BanG Dream! season 3 TV anime announced. Weathering with You anime movie screenshots revealed.